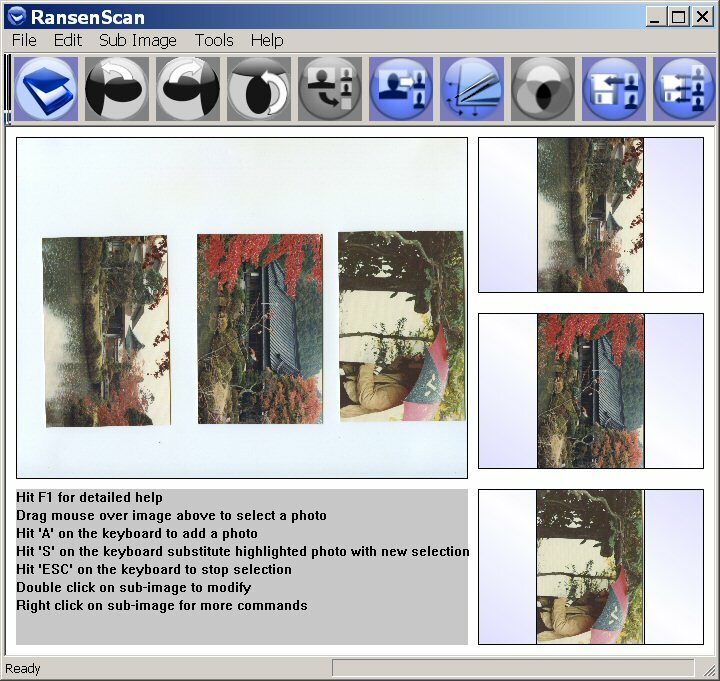 Is RansenScan as a replacement for Instant Photo Scanner? 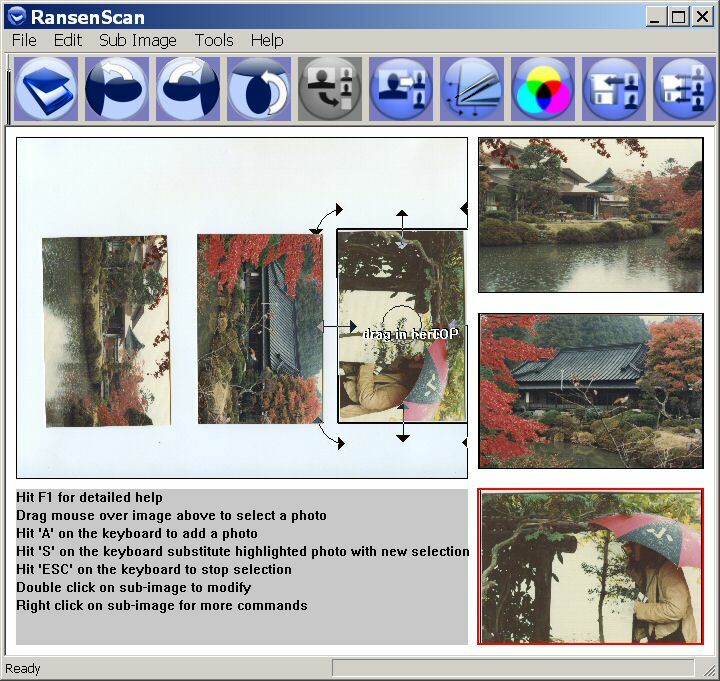 I wanted to see how Instant Photo Scanner compared with RansenScan so I decided to download and test IPS. 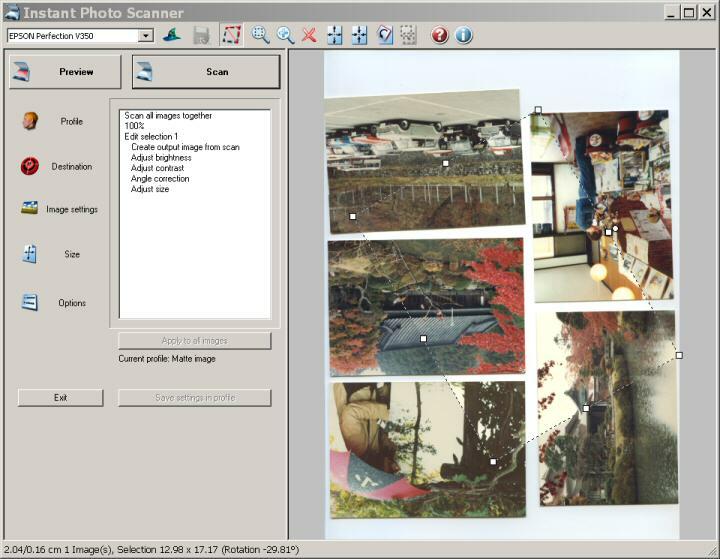 It took me a long time to find a decent non suspect download for Instant Photo Scanner, but the one at the bottom of this page is, I think, valid. The first thing I noticed was that it took a long time to install, but I don't think that was the fault of Data Becker, rather of the CNet installer. 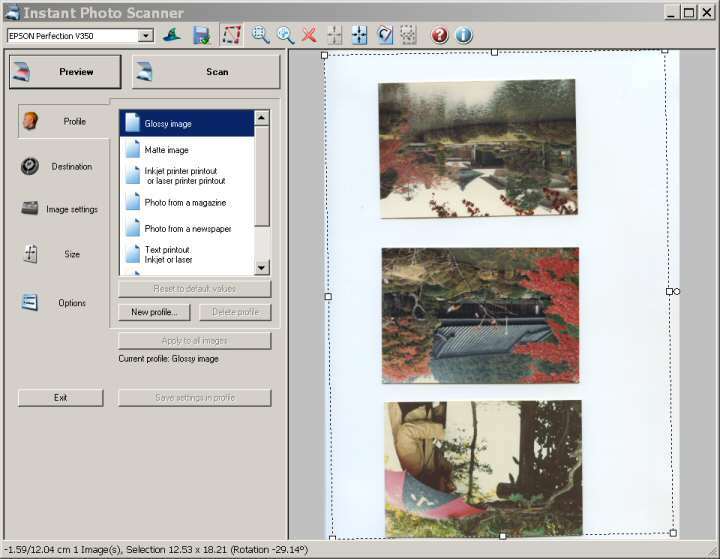 First you have to download the downloader, then you have to install the downloader and at the very end you have to search your hard disk to find out where the downloader has placed the actual install file of Instant Photo Scanner! What a palaver! For some reason the program has selected a single diagonal rectangle rather than 5 roughly oriented photos. You can just about see the tilted rectangle in the above screenshot. I tried the same setup for Instant Photo Scanner and still it only "recognised" a tilted recognised a tilted triangle in the center of the scan. 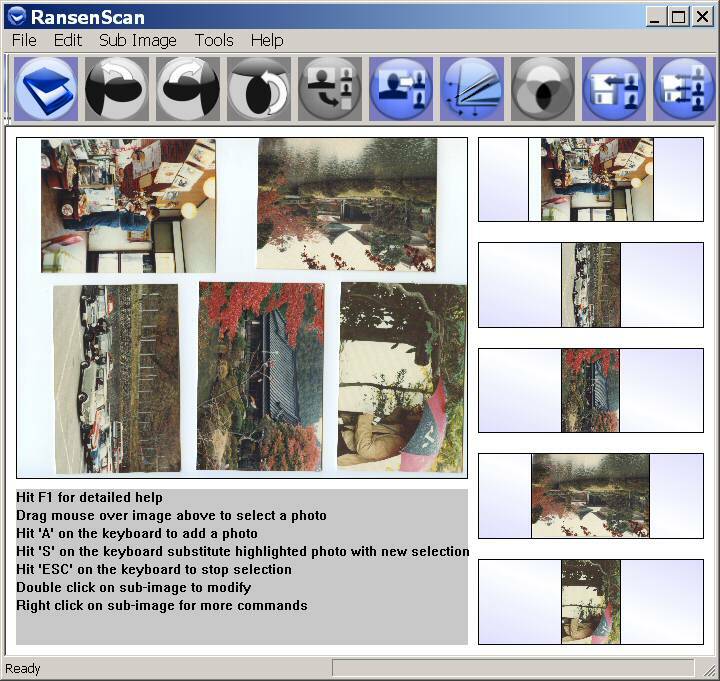 If you do install both programs at the same time remember to select your scanner's driver when you run RansenScan and not Instant Photo Scanner's driver. 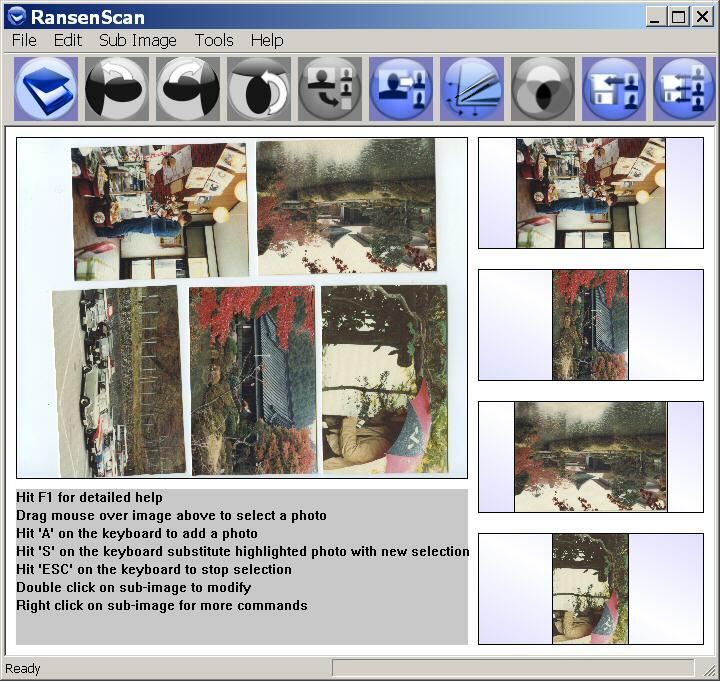 You can read testimonials for RansenScan here.